10. New Jersey – There are a number of decent Revolutionary War sites here, such as the Trenton, Princeton, Monmouth and Ft. Mercer battlefields, plus Morristown, which for two years was the winter encampment site for Washington’s army. In addition, there’s a Civil War prison site, Ft. Delaware, which sits on an island in the Delaware River. Prisoners who died there are buried at Ft. Mott, on the shore. At Weehawken, you can see the monument on site of Hamilton-Burr duel, and at West Orange you can visit Thomas Edison’s home, laboratories and office. 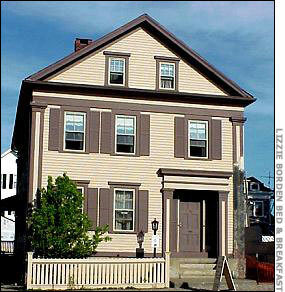 In New Jersey are the birthplace sites of James Fenimore Cooper, Grover Cleveland and the home of Walt Whitman. 9. Missouri – The battlefields in Missouri don’t compare to the ones in the east, but there are a few, such as at Athens and Wilson Creek. 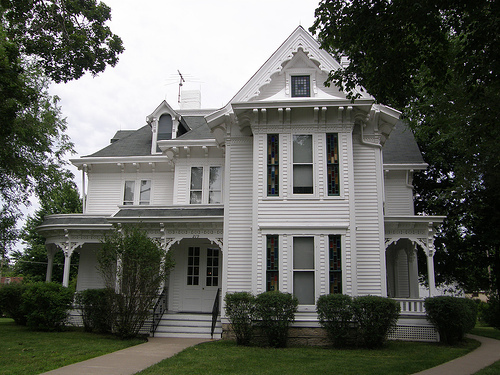 In Independence you’ll find Harry Truman’s home not far from his presidential library. There’s plenty of Lewis & Clark history here (they left from St. Louis and traveled the Missouri River west), and a farm once owned by U.S. Grant, before he was important. Missouri has the homes of Mark Twain, George Washington Carver, John Pershing, Scott Joplin, Walt Disney and Thomas Hart Benton. 8. Texas – The Alamo (need I say more? 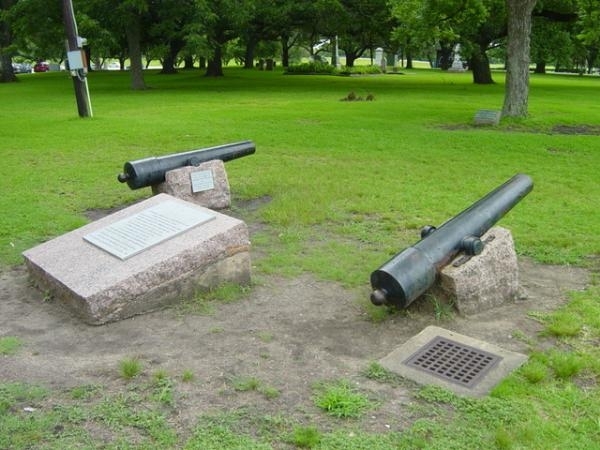 ), not to mention other Battlefields of the Texas Revolution, such as San Jacinto and Gonzales. Near Brownsville, you’ll find Mexican War battlefields. In San Antonio, in addition to the Alamo, you’ll find old 17th & 18th century Spanish missions to explore. The Texas State Cemetery in Austin is the final resting place for lots of important Texans, including Stephen F. Austin, General Albert Sidney Johnston and Governor John Connally (who was wounded in the car with Kennedy). There were dozens of Civil War skirmishes in Texas, including ones at Galveston, Corpus Christi and Sabine Pass. 7. California – California doesn’t have the traditional battlefield-type sites that I like, but there’s still plenty of history here. In the Golden State, you’ll find Alcatraz, Death Valley, the Golden Gate Bridge, and Sutter’s Mill (Gold strike). If you like open spaces there’s the California Historic Trail, where hundreds of thousands of pioneers traversed and the Pony Express Trail. 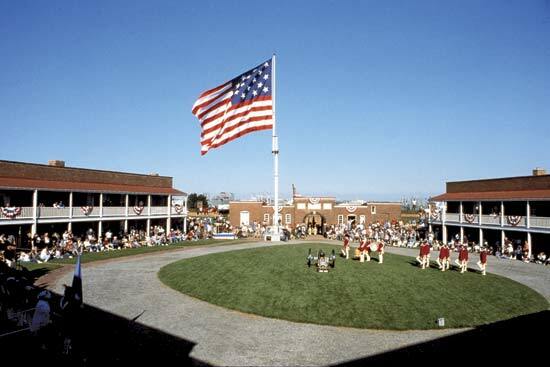 For the military buff, there’s the Presidio, which has been an army post for the Spanish, Mexicans and Americans. If you’re more into entertainment history, Hollywood and Burbank are mecca. 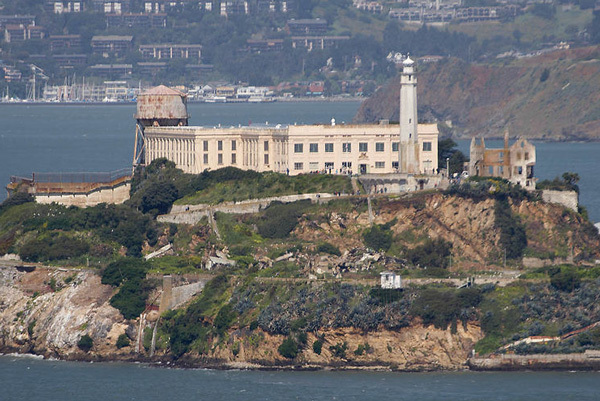 Alcatraz - Now Open for Tours! 6. Tennessee – Tennessee is second only to Virginia for sheer number of Civil War battles, including Shiloh, Chickamauga and Chattanooga, not to mention Forts Henry and Donelson. Andrew Jackson’s Hermitage is here, as well as the homes of presidents James Knox Polk (thumbs up) and Andrew Johnson (not so much). For those who like a walk in the woods, you have Natchez Trace, a famous Indian/settler trail that is also where Meriwether Lewis met his end. Like Greek history? In 1897, Nashville rebuilt an exact replica of the Parthenon, including the statue of Athena inside. There are plenty of antebellum plantations that survived the war, if you like that sort of thing, and the Jack Daniels distillery if you get bored. The Oak Ridge National Laboratory, in the heart of Tennessee Valley Authority plants, was key to the Manhattan Project. 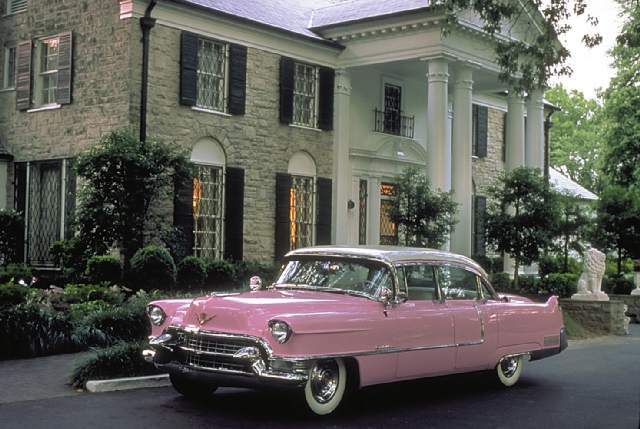 And every American must at least once make a pilgrimage to Graceland, the home of Elvis Presley. 5. New York – Home of the Bennington battlefield and Fort Ticonderoga, and Washington’s headquarters during the New York Campaign.You’ll also find plenty of War of 1812 history close to the Lakes. 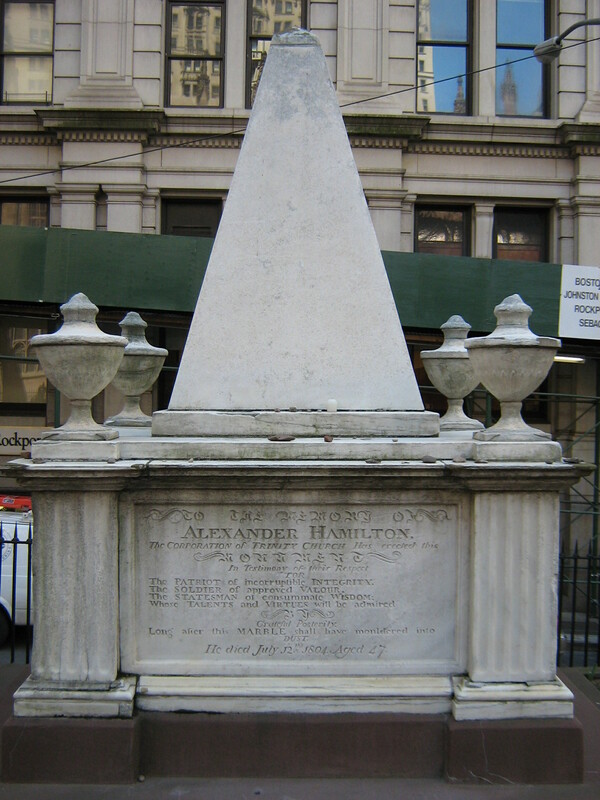 Sadly, almost all of the places fought over in New York City in the Revolution are now buried in asphalt, but you can still go there, just not at night, or alone. In New York City, there’s so much history that it’s impossible to list it all, so I’ll just mention the site of the Twin Towers, Trinity Church (Hamilton is buried there, along with many others), Wall Street (where Washington was sworn in as the first President), Ellis Island (I’m calling it New York, don’t even start that with me), the Statue of Liberty, and the Dakota. Lots of important people’s houses are in New York, like John Brown, Martin Van Buren, John Rockefeller, Thomas Paine (with grave), Susan B. Anthony and Millard Fillmore. Add to that the Military Academy at West Point (where a certain Benedict Arnold tried to sell us out). Oh, and the Erie Canal. 4. Massachusetts – Boston. Where do I begin? Let’s see, there’s the Old North Church, the Boston Massacre site, Boston Tea Party site, Bunker Hill, Old South Meeting House, the Paul Revere House, the USS Constitution and the JFK Presidential Library, just to mention the big targets. Getting outside of town, we get Fort Warren (where political prisoners were held during the Civil War, including the mayor of Baltimore) Lexington and Concord, John Adams and John Quincy Adams’ homes, the Lizzie Borden death house, Waltham (Lowell’s girls), and Transcendentalist sites, like Walden Pond. And then there are the Puritan colonies, such as Plymouth (Pilgrims) and Salem (Witches), not to mention all of the Quaker and Shaker sites. For a small, state, it’s jammed packed full of history-goodness. 3. Pennsylvania – America started here (or so the Tourist Board says). Philadelphia, our nation’s capital for ten years, has Independence Hall (think Declaration of Independence, Constitution), the Liberty Bell, the Constitution Center, the First (and Second) Banks of the United States, where Ben Franklin used to stay (and where he stays now, next to his wife, Deborah), Christ Church and Congress Hall. (I don’t mention Betsy Ross because it’s largely a myth.) You should also see Fort Mifflin, a Civil War-era fort (it’s haunted, you know). Outside of town we get the Washington Crossing site, Valley Forge, the Brandywine and Germantown battlefields, and as we move west, there’s Nirvana Gettysburg. 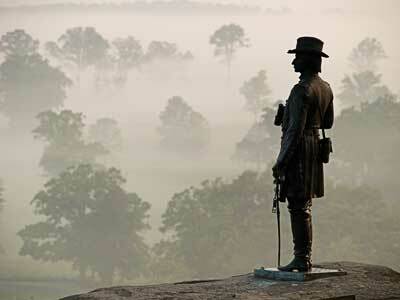 Gettysburg is the site of the greatest battle in the history of the Western Hemisphere – I’ll just leave it at that. If this state had only Gettysburg, it would still be in the top ten. 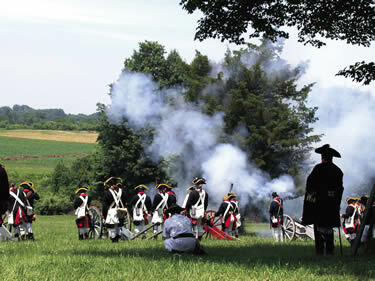 Continuing west, we get into lots of French and Indian War sites, including the Braddock battlefield, Fort Necessity and Fort Duquesne (sadly, you have to go to Pittsburgh to see this). James Buchanan’s house is in Pennsylvania, but there’s no need to stop there. 2. Virginia – Virginia is called the “Mother of Presidents” because so many were born there. Here’s the list: Washington, Jefferson, Madison, Monroe, W.H. Harrison, Zachary Taylor, John Tyler and Woodrow Wilson. Many of their homes are on the must see list: Mount Vernon, Monticello, Montpelier and Berkeley Plantation. Arlington National Cemetery was the home of Robert E. Lee; Virginia was also the home of Stonewall Jackson, J.E. B. Stuart, A.P. Hill and a slew of other Civil War greats. There are more Civil War battlefields in Virginia than any other state, and many of them were major, bloody engagements. Richmond, the Confederate Capital, has a ton of restored buildings and preserved artifacts. Down the Peninsula, we run into Yorktown, where the American Revolution ended, and Jamestown, where Virginia began. (Williamsburg is nice, but overly commercial.) Harpers Ferry was in Virginia when John Brown attacked it, so for the sake of this discussion, I’ve re annexed it. Newport News and Norfolk are wonderful if you like naval history (this is where the “Duel of the Ironclads” occurred). 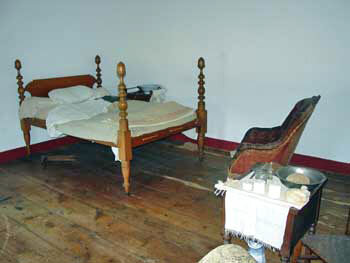 The bed upon which Stonewall Jackson died, in the house where he died. 1. Maryland – OK, maybe I’m biased, but we’ve got it all! Let’s start at the start: Maryland’s First Colonial capital, St. Mary’s City, has been excavated and rebuilt and a replica of the ship that brought over the first settlers is there. Annapolis is loaded with colonial history, including the preserved room in the State House where George Washington resigned his commission. It’s also the home of the Naval Academy. South of town there’s Londontown, a colonial-era settlement currently being excavated; even farther south is the Surratt Tavern and the Mudd House along the path of John Wilkes Booth’s escape route. In Baltimore, there’s only Fort McHenry, the well-kept birthplace of the Star Spangled banner, Edgar Allan Poe’s house and grave, the B&O Railroad (America’s first), President Street Station (where the Baltimore Riot started), Westminster Cemetery, Greenmount Cemetery, the Carroll Mansion, the USS Constellation, the USCGC Taney (a Pearl Harbor survivor), the Flag House (where the Star Spangled Banner was made) and lots of historic churches and really old homes. Going west, we arrive at the South Mountain and Monocacy Battlefields, and then Antietam, the very well-preserved site of the bloodiest day in American history. Farther west we find Forts Frederick and Cumberland from the French and Indian War. The clincher for Maryland? It’s not only got its own historical stuff, it sits between Virginia, Pennsylvania and Washington, D.C. with all of their historical stuff. Living in Maryland, you are closer to history than anywhere else in America.